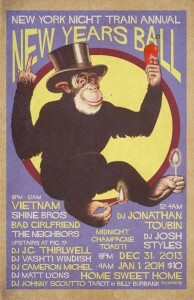 JG Thirlwell will be making rare DJ appearance on New Years Eve at the New York Night Train New Years Eve Ball at Home Sweet Home, 131 Chrystie Street in NYC. The Ball will also take over the bar Fig 19 upstairs, where JG will be DJ-ing along with hostess Vashti Windish (of K-Holes fame), Cameron Michel (also of K-Holes/Golden Triangle) the inscrutable Matt Lyons and the dapper Johnny Scuotto. 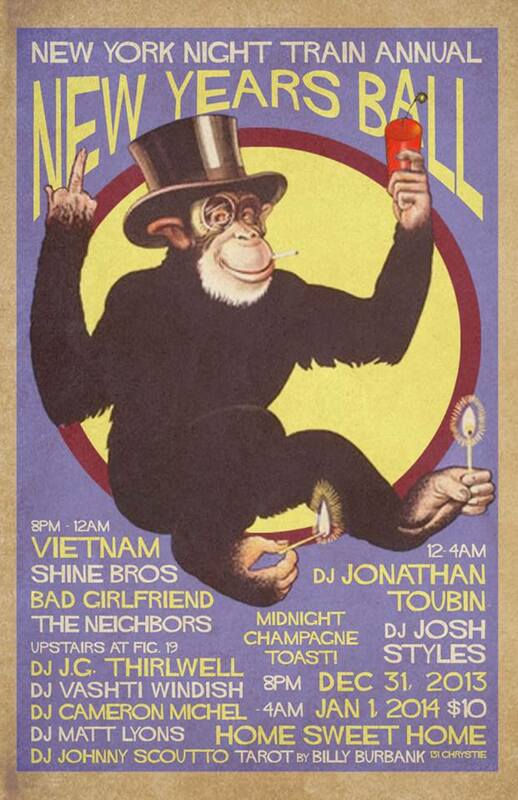 Downstairs the legendary Jonathan Toubin will hold down the decks with live sets by Vietnam, Shine Brothers, Bad Girlfriend and Thy Neighbors. Happy New Year, let’s hope it scuttles unlucky 13.